Tax season is here again. And while filing for tax returns can be tricky for the average family, it can get even more complicated for military families. 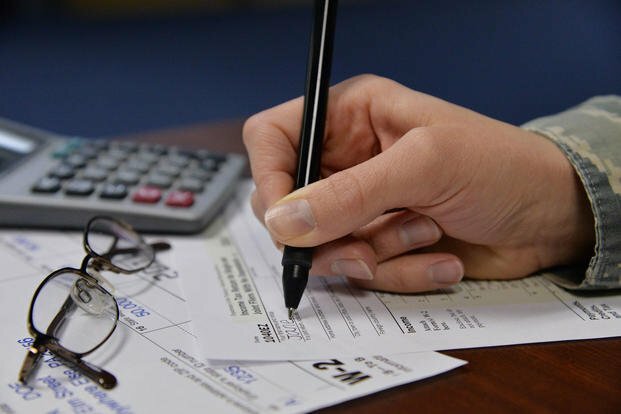 Thankfully, military personnel and their families have access to a variety of tax preparation and filing services for free or discounted prices. Whether you choose to file taxes yourself online or you prefer some outside assistance from a trained professional, there are a several free and discounted options to choose from. Most large military installations worldwide offer service members and their families free income tax filing assistance through the Volunteer Income Tax Assistance (VITA) program which is sponsored by the IRS. VITA sites have volunteers that are trained by the IRS to provide assistance with some of the more complicated military-specific tax issues, such as combat zone tax benefits. Visit Military.com's Base Guide to contact your local installation for more information about location of tax centers, hours of operation, scheduling appointments, and necessary documentation. Liberty Tax Service offers Military.com members a new customer discount of $50 off income tax preparation. Click here to print out the coupon and take it to participating Liberty offices with a valid military ID. Military OneSource provides free tax preparation and e-filing software, easy access to tax consultants and free in-person tax preparation through approved Volunteer Income Tax Assistance offices. MilTax, Military OneSource’s free tax services, provides easy-to-use software that is designed specifically for the military community that can be used from mid-January to mid-October. IRS Free File Software allows you to prepare and file your federal individual income tax return for free using tax-preparation-and-filing software. If your income is below $66,000, you can file your taxes with free software and find free state return options. Use Free File Fillable Forms if your income is greater than $66,000. Free File software opens in January 2019. Filing your taxes requires a lot of documents and personal information so make sure to collect everything you’ll need before you get started. The following is a list of some of those necessary records, but if you’re getting outside help, it’s best to call ahead to make sure you’re not forgetting anything. W-2 forms are usually available for military members by the end of January and can be downloaded from MyPay website.